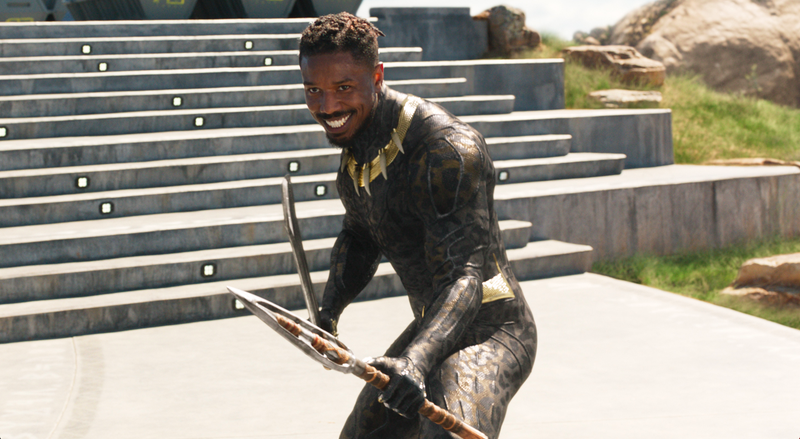 Michael B. Jordan as Erik Killmonger in Black Panther. Following in the industry trend of releasing a slew of limited series comics designed to capitalize on the box office success of live-action movies, Marvel’s just announced an all-new miniseries about the early life of Black Panther’s central villain. Like when you just committed something horrible, when you’ve just done an act of violence, what’s it like the morning after? What’s it like the day of? When you believe in a gun and its ability to keep you safe and execute your will, what is that belief like? What’s it like to know that you’re a hunted person and to live your life? How do you forge relationships? I can say that the events of the stories for the most part begin with Erik graduating from MIT. Like all stories, it begins with him having a fork in the road in front of him. He’s a young man who could have a successful and peaceful life if he could just put away his desire for revenge. While Killmonger’s aesthetics will be clearly inspired by the character’s appearance in this year’s Black Panther film, the story will focus on Erik’s hunt for Ulysses Klaw and the other men who dragged him away from Wakanda as a child. Between the Shuri series on the horizon and T’Challa’s intergalactic and (potentially mystical) adventures in the comics, it’s obvious that Marvel’s trying to bring the pillars of the Black Panther mythos to the fore in a big way. The question now is whether the characters are going to stick around in any meaningful way in the long term. Killmonger drops this December.